The Standard Height and Weight Chart for Babies in India, is the single most important chart for a mom besides the food charts! Every mom is worried about the growth of her child and rightly so! But contrary to the common Indian notion, chubby is not always a sign of proper growth. In a country like India where it’s still very common to blame the mother for her child’s growth; this cause constant cause of worry and unnecessary pressure on moms. Especially first time moms, who are nearly close to hysteria when it comes to the ideal height and weight of their babies. It’s very important to keep an eye on baby weight to ensure that there is a steady increase in weight. However, becoming over concerned over every 50 to 100 gms is not the solution. An ideal height to weight proportion is one of the primary factors for healthy children. It’s a popular notion that as long as the babies are growing and their weight is increasing they are healthy. But the important thing is that the proportion of the increase in height and weight over a period of time should be optimal. During the growth years, if your child is either underweight or overweight, it’s not very good for the overall health of your child. These anomalies can also put your babies at risk of some illness. Under these circumstances, it becomes all the more important that the Indian parents refer to Standard Height and Weight Chart for Babies to monitor their child’s growth. Another important factor while monitoring an infant’s growth is his birth weight. Any amount of growth in an infant must always be measured in proportion to his/her birth weight. In India, a common benchmark is a comparison. Many Indian parents base the growth of their child on other children’s growth. 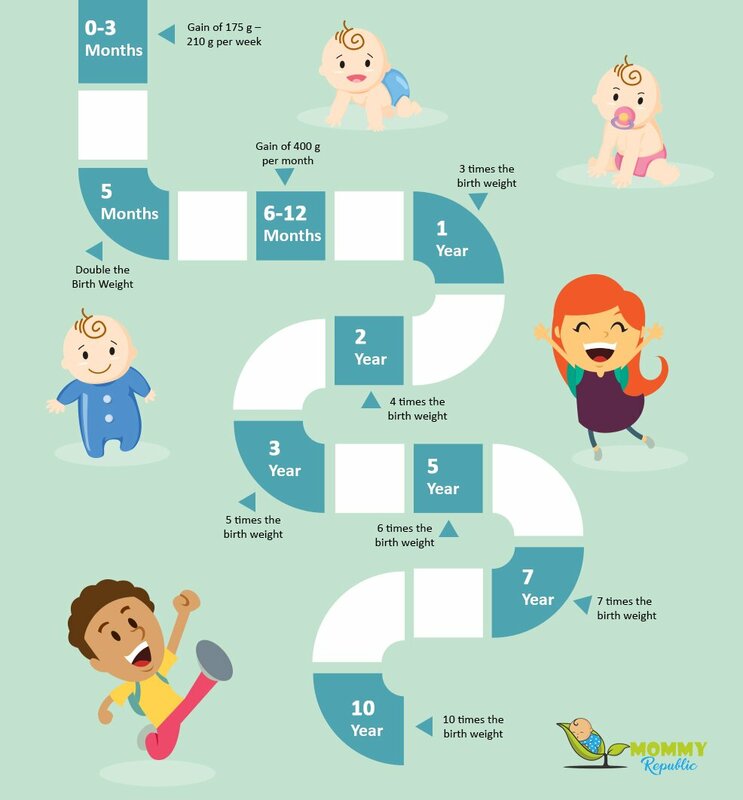 This is an incorrect method for monitoring growth as the birth weight and height of every infant is different Any standard height and weight chart for babies will give the desired amount of increase required over a period of time over the birth weight. Baby weight and height also depend on ethnicity and demographics. Majority of the standard height and Weight Chart for Babies available on the internet are based on the data of babies in U.S.A. 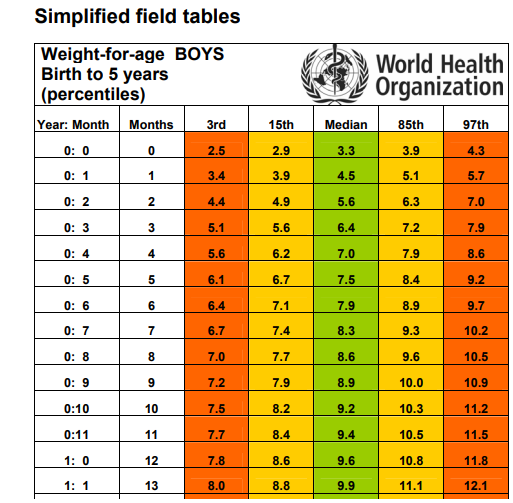 Hence, these baby weight charts cannot be an accurate benchmark for Indian babies. The most appropriate option for Indian parents is the WHO standard height and weight charts for babies. WHO charts are universal as data used by them is from six different counties across five continents. Just referring the standard growth chart is not enough. As a parent, one must know how to interpret these baby growth charts correctly. The column headings (3rd, 15th, median, 85th, 97th) given in the WHO charts are actually percentiles. In these percentiles, the 3rd percentile is the lower end of the normal range; i.e. 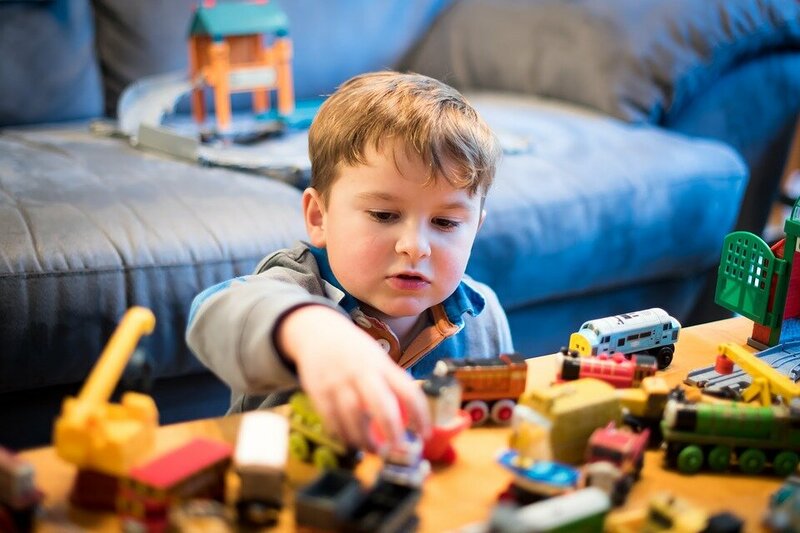 only 3% of infants and toddlers will be below the normal range. The 97th is the upper end of the normal range. This indicates that only 3% of children will fall above the normal range. The median or the 50th is the range where the majority of the babies will lie. If the baby’s growth statistics lie between the 3rd and the 97th, then the baby’s growth is normal. For example, if a 3-month-old baby girl has a weight of 5 kgs, she falls in the 15th percentile (with 5.1 kgs). It means that 15% of 3-month-old baby girl’s weight 5.1 kgs or lesser. As a parent one can plot a monthly growth graph and then compare it with standard percentile growth graph. So if the trajectory of your baby’s growth is almost same as that of the standard percentile growth trajectory then it is safe to say that the baby has grown in a healthy and normal way. It’s not always possible that a baby’s weight will be same as the definite percentile weight. Hence, it is important to consider these charts as a range and not definitive values. A minor deviation from the standard percentile value is not a reason to worry. Many a time it may happen that the babies catch some infection and lose a lot of weight drastically. There is no need to panic then. A baby can usually recover the lost weight over time. But if the weight gain is not substantial then you must consult your pediatrician. The standard height and weight charts for babies provide a reasonable range of values but not absolute values. So any deviation between 1 kgs to 2 kgs is normal. For any higher deviations beyond this range you may consult a doctor. In case of premature babies, it may take some time for them to reach to a normal weight range as per the Standard Height Weight Chart. Under these circumstances the pediatrician might suggest some supplements. During the growth years if the child is either constantly below 1% or constantly above 99%, then parents should be careful and vigilant. The constantly lower value indicates that the child in underweight. The 99% indicates that the child is overweight. If you think that your baby is not gaining weight adequately visit a pediatrician first, to rule out the possibility of any medical problem. In the absence of any medical problem, it all comes down to proper nutrition. As per WHO, a baby should be exclusively breastfed for six months. Mother’s milk provides all the required nutrition to babies and is easy for them to digest. Breastfeeding is also very important to boost immunity amongst infants. Hence while breastfeeding, it is very important for mothers to eat a balanced and healthy diet to ensure proper weight gain in babies. After six months you can include other food items along with breastfeeding until the age of two years. When you start feeding your baby other foods, it’s better to consult your pediatrician first. For healthy growth and weight gain foods likes bananas, apple, peach, sweet potatoes, ragi or sattu with milk, whole wheat, oats, avocado, eggs, beetroot, peas, carrots, beans, nuts, chicken, and ghee. These foods contain healthy nutrients and also help in increasing a baby’s strength and immunity. To begin with, you can make purees or soups rather than feeding it to the babies in any hard form. These weight gain foods for babies will definitely help your little one to gain weight in a healthy way. One thing that a parent should always remember is that even though Standard Height and Weight Chart for babies is an important measure, it is not absolute. Every baby is different, has different growth spurs and has different needs. The more important measures are overall health, immunity, and activeness in your baby.